truthfulmind: How Do You Honor Your Ancestors Each Day? We are not here for ourselves. This planet is being loaned to us by our children’s, children’s, children – 7 generations forward. We owe our existence to our Ancestors. We can’t imagine what our Ancestors endured from the time of capture through Reconstruction in America and Colonialism in the African Continent and Caribbean Islands and South America. 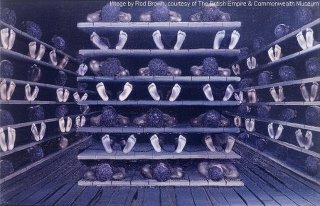 Yes it was the Trans-Atlantic Slave Trade; our Ancestors were transported across this globe for Profit. We must Honor them in all we do. Our Ancestors pre-Trans-Atlantic Slave Trade and pre- Invasions from Foreign European & Arab Nations have much to teach us about life and living too. What changes do you need to make in your life in order to Honor your Ancestors recent and Ancient?